Communism died as an idea fifteen years before the Berlin Wall was pushed over. Communism was a regime of lies. Economically it didn't work. And for the physical environment it was a disaster. "Scientific Socialism" turned out to be pseudoscience, masking the self-interest of those elites designated by the term nomenklatura. Something like this is happening again. Thursday, January 22, hundreds of thousands of mostly young people marched in Washington, DC, for the pro-life cause, and with a new sense of self-confidence. More today than a decade ago, they knew they had science on their side. Thousands of them have had ultrasound images of younger brothers and sisters posted on their refrigerators — images from just days and weeks old. During the presidential campaign of 1972, on the McGovern campaign bus, in the middle of a long delay I told a noted feminist journalist I had never had a face-to-face conversation about why abortion is moral. She was patient and friendly. "It's all about science. What's aborted isn't a human life. It's just a blob of tissue, like an appendix or a wisdom tooth." I have often wondered what she thinks now. Science now sees in what is aborted an individual with unique DNA — not the DNA of the mother nor the father. Besides, this living creature within the womb is already male or female, an independent member of the species homo sapiens and no other. Unless interrupted by a natural miscarriage or deliberate human will, he or she will mature and be born and live. Since that Dark Age of a political campaign partly about abortion, technology has brought new wonders. Ultrasound imaging makes it possible to record each stage of a unique individual's growth in the womb, to listen to her heartbeat, to see him recoil at pain or surprise. Those in favor of abortion seldom say so. Instead they say they are "pro-choice." As Naomi Wolfe once wrote, these people should at least be honest. What they really are claiming is that they have a right to use violent means to cut short the life of a living, independent, human individual. That is saying quite a bit more than "pro-choice." 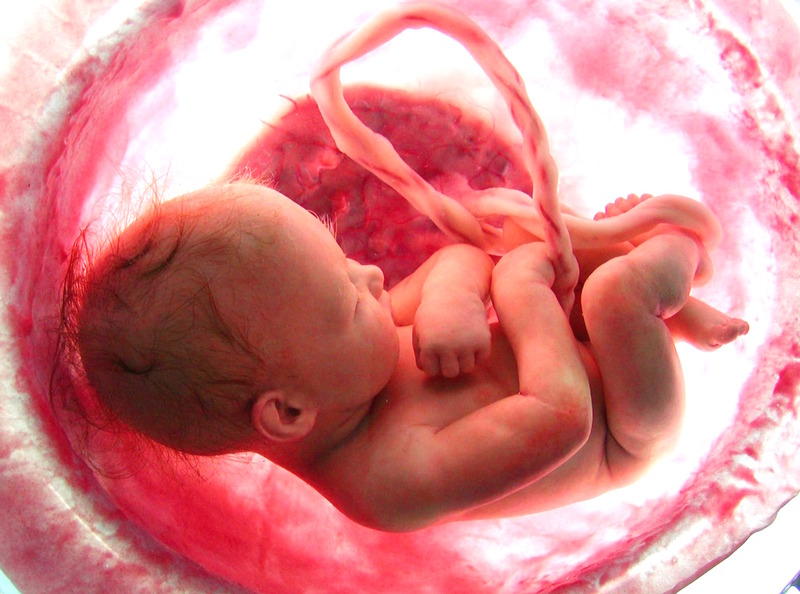 Likewise, my "pro-choice" friend at the American Enterprise Institute, Ben Wattenberg, used to say, "In honesty, I have to admit that to abort is to kill. And also: I'm in favor of it." He gave his reasons. But they did seem weak in the face of that word "kill." Naomi Wolfe's point was that in the long run, it would be better at least to speak honestly, even if that seemed more shocking. Otherwise, those in favor of abortion would sound less trustworthy, speaking in roundabout euphemisms. They would sound like they were covering up what they are really advocating. They would be caught up in a tangle of evasions — and even self-deceptions. For decades, those who favor the abortion regime have wrapped themselves in the white robes of patrons of science and defenders of sacred "rights." Today, however, neither science nor the sacred language of rights adequately supports their pose. This great fact may take a decade or more to become evident to all, but the intellectual underpinnings of the abortion regime have washed away. In 1863, Lincoln did not expect that the Emancipation Proclamation would immediately end slavery. Indeed, he himself emancipated only the slaves of the Confederacy, not those of the border states that the Union needed to prevail in the war. No, what Lincoln counted on was the fading away of slavery into gradual oblivion, as free states multiplied, and the moral sights of the Union were set above slavery, in favor of a nation "conceived in liberty, and dedicated to the proposition that all humans are created equal." That is also the hope of today's Marchers for Life. They have been patient. They have appealed to reason. They have marched in the January cold for long decades, eager to win over the undecided and the pro-abortionists, jurisdiction by jurisdiction. The intellectual battle has been won. Patient political efforts in persuasion are now the best way — the Lincolnian way — to make the abortion regime fade into oblivion, to be remembered in the future as a dark period in American history. Michael Novak. "Abortion: The Intellectual Battle Has Been Won." Patheos (January 27, 2015). Reprinted by permission of Michael Novak.